Upon application, its creamy richness turns into an evanescent fluid that produces spectacular makeup removal results with no effort or rubbing. This very comfortable milk eliminates, in a single, infinitely gentle step, all traces of impurities and makeup, including from the eyes. 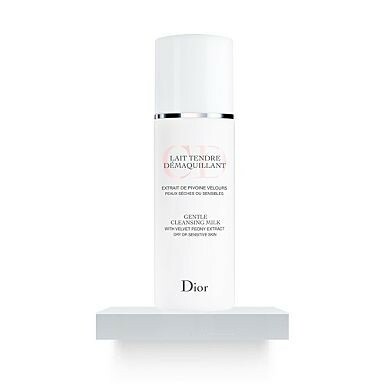 Comfort-boosting agents added to the formula prevent dryness and replenish the skin with moisture for a genuine sensation of well-being. Soothed by Velvety Peony, skin feels supple, infinitely softer and flawlessly cleansed of makeup. "A beautiful velvet smooth cleanser for the face"